This year I discovered a love of pesto! 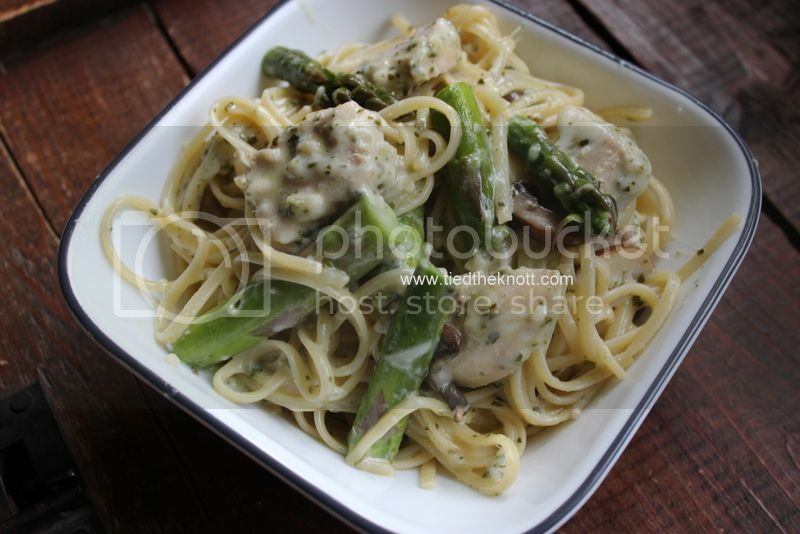 While grocery shopping, I decided I wanted to throw something together with my new favorite ingredient and this is what I came up with: Pesto Chicken and Asparagus Linguine! 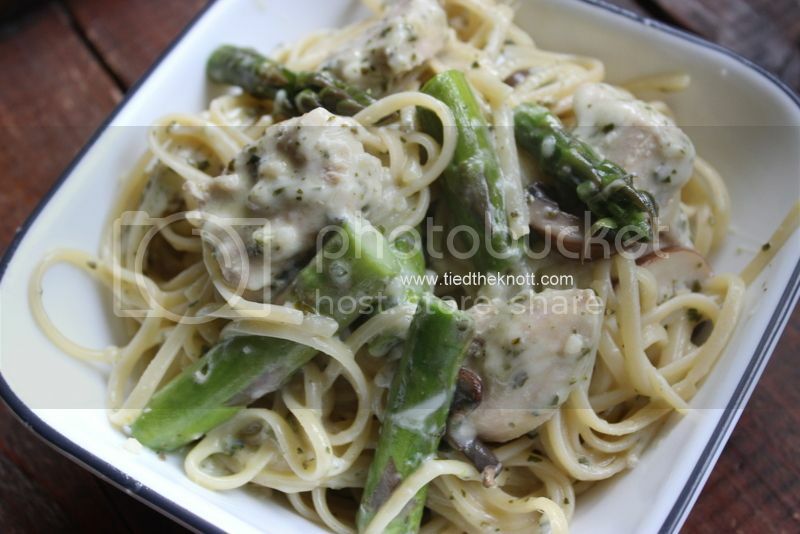 Cook chicken, saute mushrooms with 1 tbsp olive oil, and cut asparagus into bite-sized pieces and steam. Set these ingredients aside. Cook pasta in boiling water with one tbsp olive oil to prevent noodles from sticking together. Strain and set aside. Mix together pesto, lemon juice, parm, mozzarella, and milk. Add to the pasta and stir (I used tongs to stir) until mixed through. Add veggies and chicken and give one more good stir to coat. Serve hot!